Are you a mermaid with an active lifestyle? 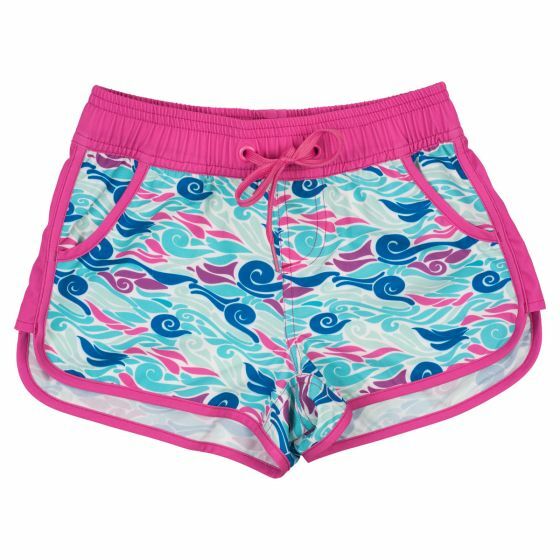 Run free and swim fast in these water-worthy swim shorts for girls featuring a playful swirled wave design in ocean colors with fuchsia accent trim. Get the confidence to wander wherever you wish in these stylish swim shorts for girls from Fin Fun. 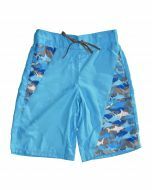 Featuring lightweight fabric, an adjustable drawstring waist, and mesh pockets—these board shorts designed to cover your bikini bottom provide extra coverage (and style) when you’re out and about. You’ll love how the pink, aqua, and blue designs are outlined with bright raspberry pink trim. 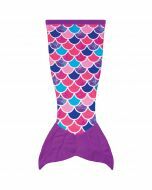 Find your mermaid swimwear at Fin Fun! From our mermaid swim shorts to our mermaid-scale bikini sets, our premium-quality fabrics are designed for high function and durability. 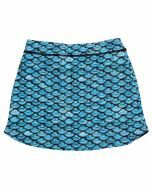 Our swim shorts for girls make the perfect board shorts when it comes to mermaids who seek an active lifestyle. Add our matching Raspberry, Royal Blue or Grape swimwear set for the perfect look! Whether you’re splashing, surfing, or just playing on the sand, we’ve got you covered!